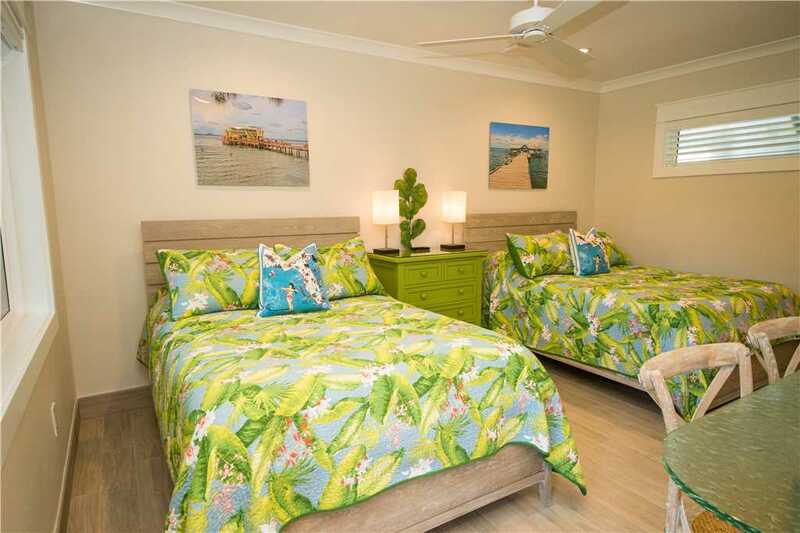 Suite 7 at the new and luxurious Rod and Reel Resort is everything you could ever want in a vacation rental. 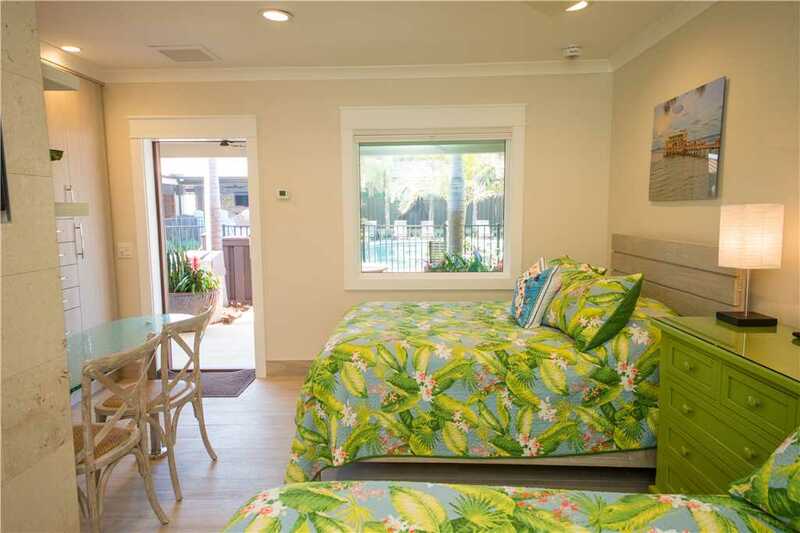 The resort was originally built in 1948, this historic accommodation sits on some of the most prime real estate Anna Maria Island has to offer. 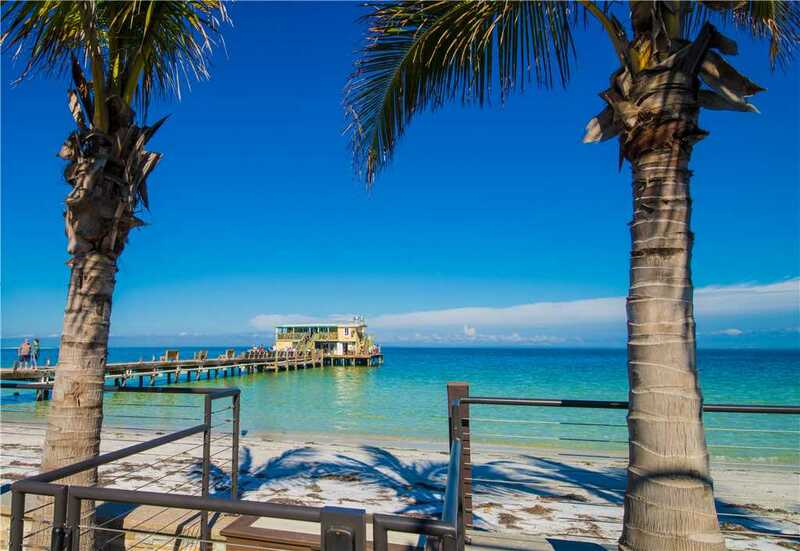 Adjacent to the popular Rod and Reel Pier and Restaurant, the private Rod and Reel Resort will offer guests and larger groups an unparalleled all-inclusive vacation experience. Complete with spectacular panorama waterfront views and the evening lights of the distant Sunshine Bridge, guests can enjoy every amenity imaginable in this pristine and exclusive tropical resort paradise. 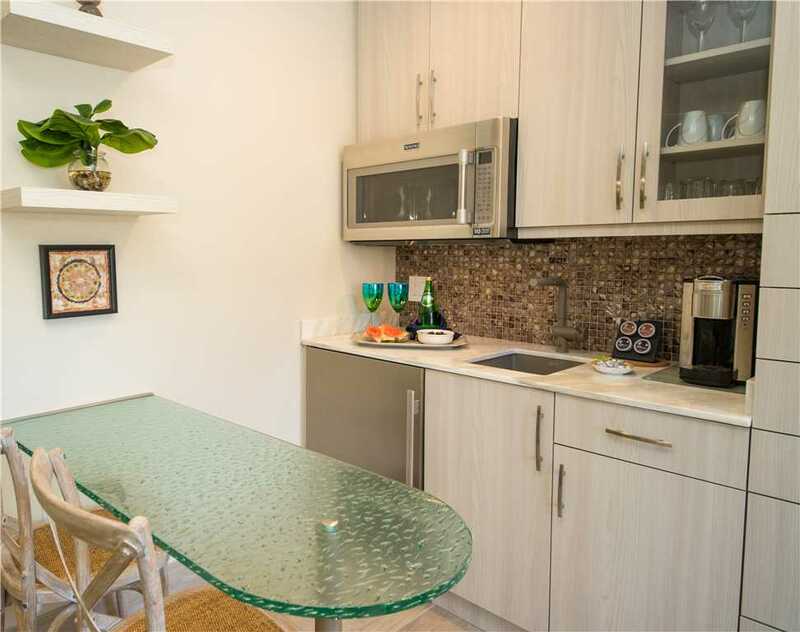 This luxurious suite offers accommodations for four guests. 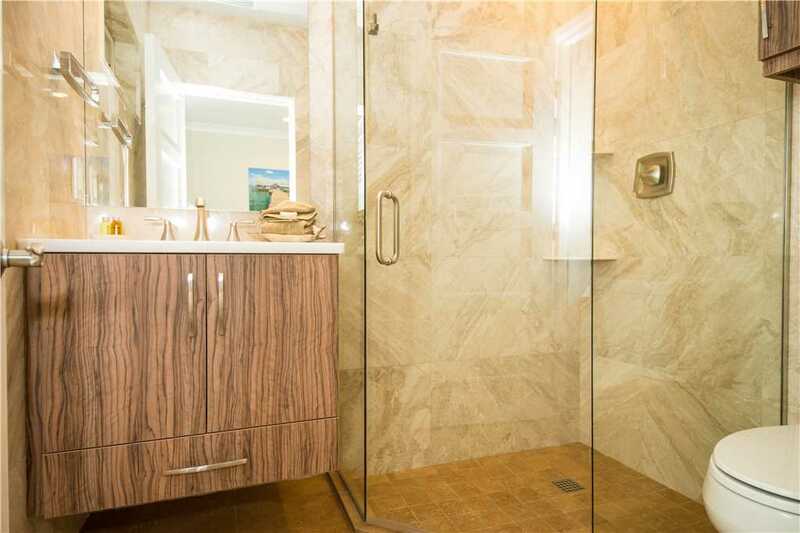 It features 1 efficiency kitchen and a full bathroom with a shower done in marble, television, wifi, and fantastically beautiful finishes and décor throughout. 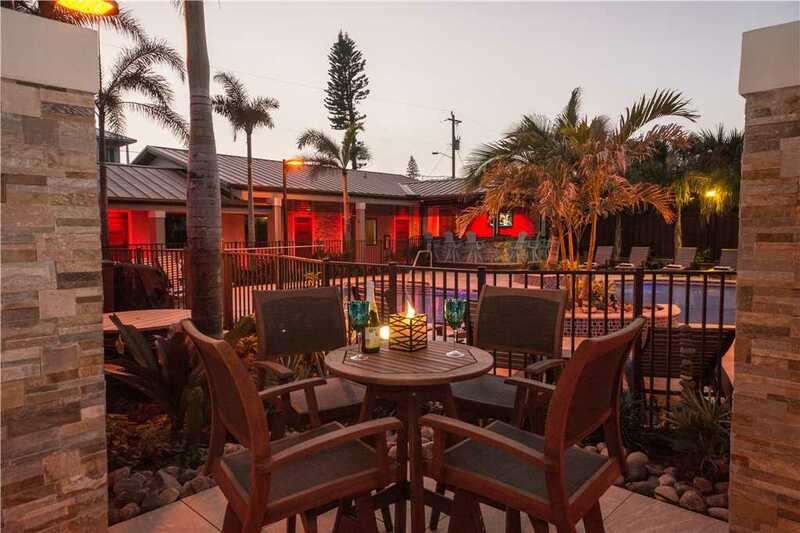 The outside area of Rod and Reel Resort offers a tropical oasis for guests to enjoy. Lounge by the pool, play ping pong, go kayaking, or hang out at the bar – this amazing resort offers it all! The truth is, most guests will find it hard to leave the comfort and amenities found right here at the resort. 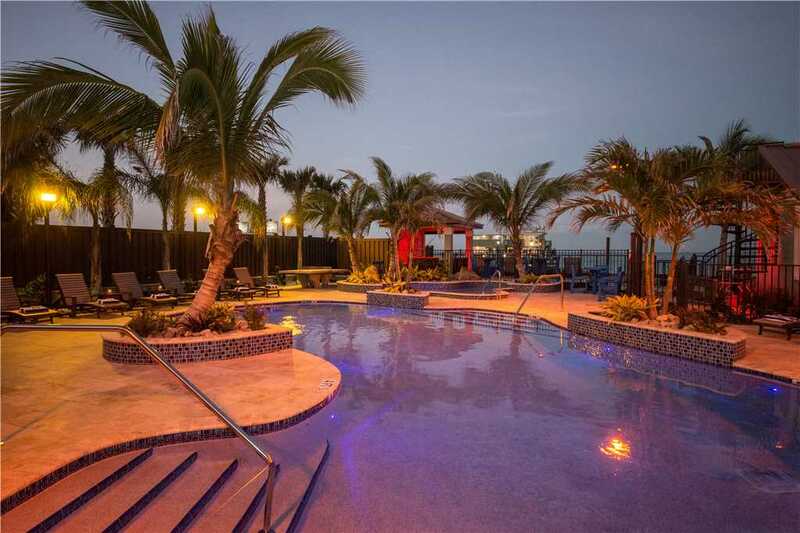 If relaxation is your priority, then grab a book and enjoy the incredible panoramic views from the rooftop terrace or claim a chaise in the shade of the Tiki. 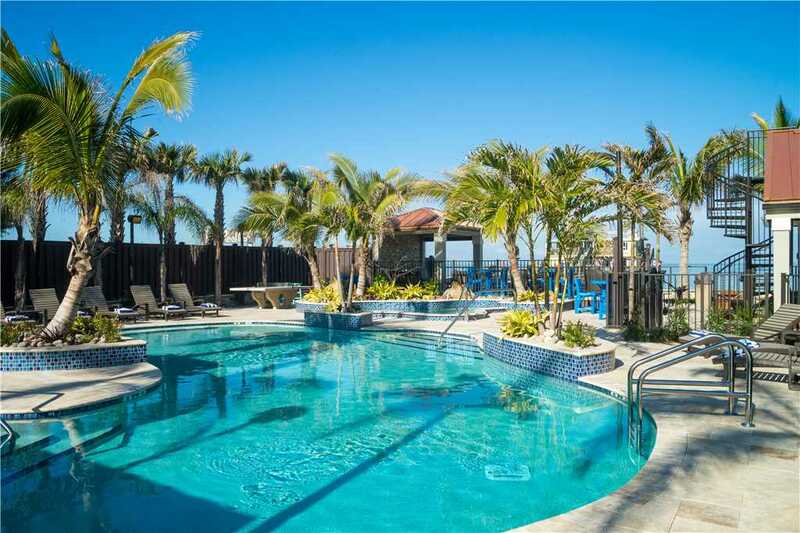 Fun for all ages can be had in the refreshing and crystal clear water of the large and inviting private pool or dip in the Gulf water at the resort beach. The spa has space for multiple families and is the perfect spot to unwind after a fun island day and share adventures and laughter. 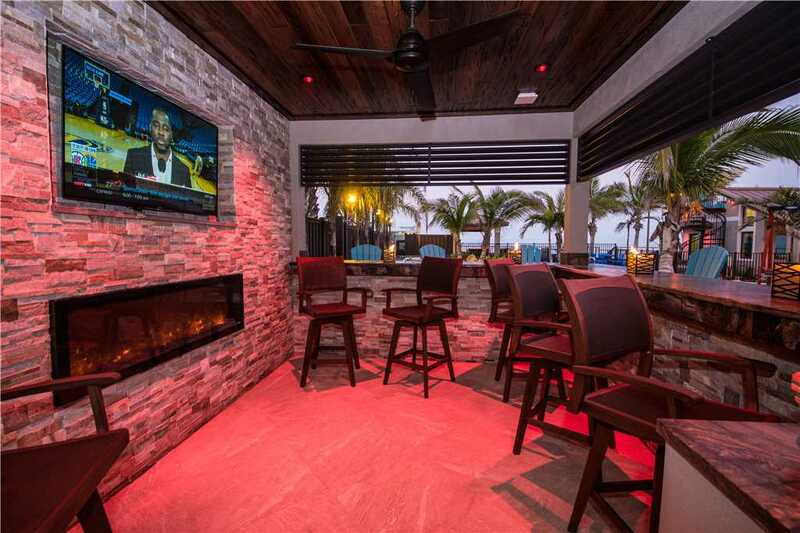 When it is big game day, there is no need to leave the comforts and convenience of the resort; simply reserve your seat in front of the large outdoor television and fireplace located in the gazebo or sit poolside along the counter bar. Hours of outdoor activities can be enjoyed at the beach, stone ping-pong table, shuffleboard and corn hole courts, or while exploring the canals and Gulf from one of our guest paddle boards or kayaks.